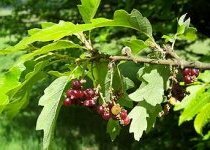 The photos on this webpage are taken from the most delightful Hainault Forest website. 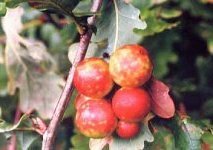 The text is largely from Oaks and Oakwoods by A.G Tansley, published in 1952. 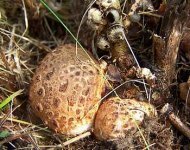 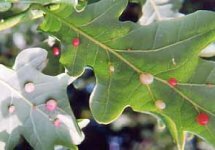 My thanks to both these sources in opening my eyes to the "funny things" growing on the oaks in my Plantation. 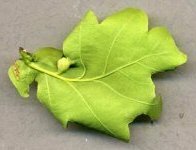 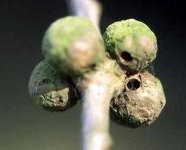 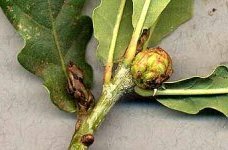 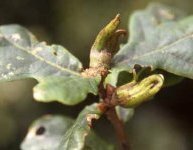 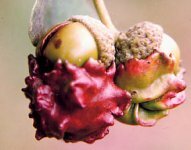 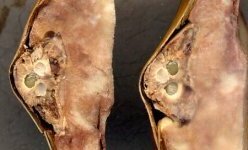 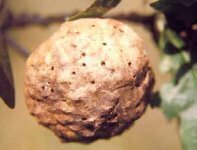 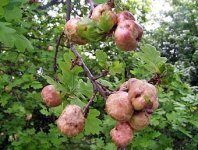 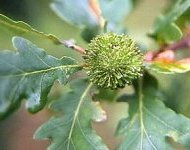 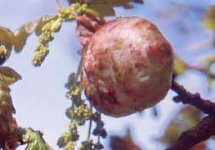 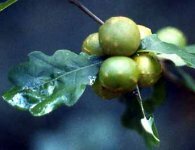 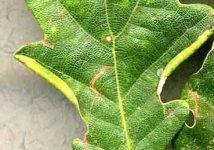 A survey of my own 300 oaks planted in 2000/2002 indicates the galls found. 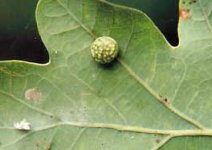 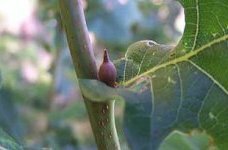 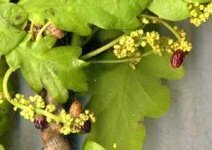 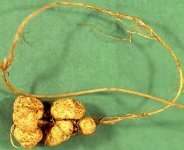 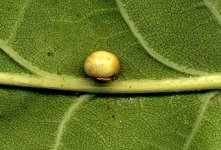 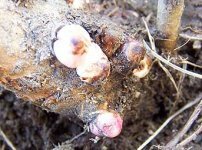 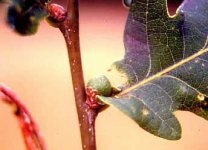 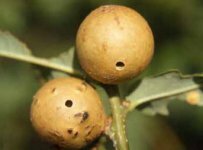 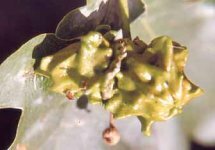 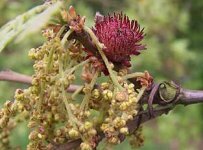 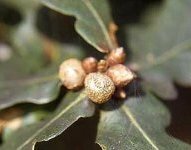 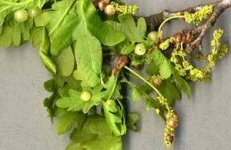 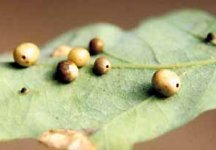 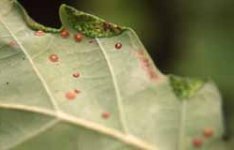 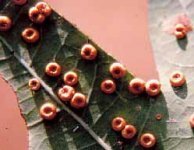 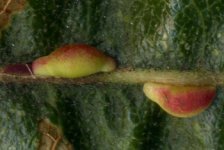 spangle galls to appear in July. 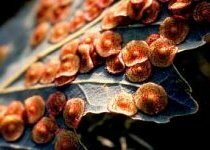 These are of a beautiful red colour, at first with a central umbo, and sometimes cover the undersurface of the leaf very thickly, causing it to wither prematurely. 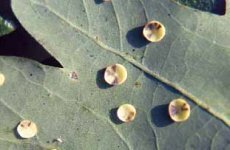 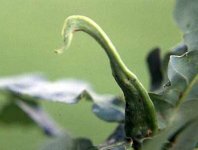 In September the spangle gallsbecome detached, fall to the ground and round off, the contained larvae continuing to grow through the winter. 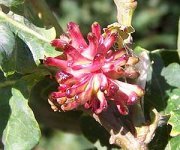 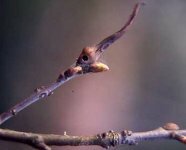 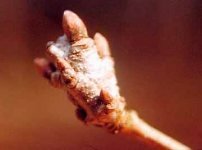 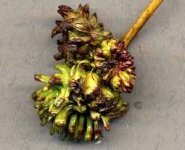 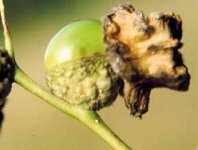 The wasps appear in April and attack the catkins or leaves, producing the summer currant galls.